If you are new to caravaning then you probably have a lot of questions. We have tried to answer the most common questions that we are asked. If you have questions that we have not answered, please feel free to e-mail or call us on 01938 810245 and we will be pleased to help you. · How Long Is Your Season? The season at Neuadd Bridge is 10 months. The park is open from March 1st to December 31st. We are Closed January & February. · How Long can I Stay Onsite? As long as you like as long as its for holiday purposes. · Can I use my caravan residentially ? No, this is something we are very strict about. You must own an alternative property elsewhere; we cannot accept the addresses of relatives and friends. Your caravan can only be used for holiday and recreational purposes; this is set out in the Park licence issued by the local Council. · Can I stay in my caravan during the closed months? Whilst you can’t stay in your caravan you can visit it on any day during the closed season to ensure that everything is OK. The Park license issued by the local Council insists that we have a closed period as the Park is not meant for residential use. · Do I own the land my caravan is situated on? No, but you have the right to use the pitch as long as you pay your Pitch Fees. · Do You have an age policy on the park? Many parks are introducing age policies onto the park of 10 - 15 years. This means that when your holiday home reaches this age limit then you are required to update it to remain on the park. We do not have a set age policy to the park and feel that other factors such as condition are just as important. We understand that a holiday home is a big investment and like to reassure people that they will be allowed to enjoy that investment for many years. · How large is the park? Neuadd Bridge is set in around 20 acres, in total we have 155 pitches. · What are the Annual running costs? Annual running costs will vary depending on the usage of the holiday home. Annual site fees for 2019 are £2,330 and include the charges for VAT and Rates. In addition the fuels are individually metered with a separate charge for both electricity and gas. · How Much Do Caravans Cost? We have a range of caravans to suit most budgets. On average we keep up to 20 New & Pre-Owned Holiday Homes on display in our Sales Yard or on pitches around the park. In the case of new caravans we sell them at the retail price plus transport costs and a connection fee. The cost of connection fees can depend on the pitch but on average are under £1,000. The connection charge also pays for the caravan to be commissioned and connected to the mains services and includes gas tests and electrical tests and the right certification. All engineers meet the required qualifications and all certifications are as advised by the NCC / BH&HPA guidelines. · Do you offer finance? Yes, we can offer finance with competitive rates available and can give written quotes should you require. · Do you have Wi-fi and mobile phone coverage on the park ? 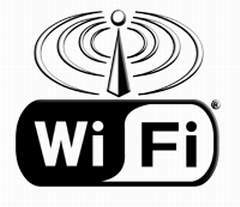 We have an onsite Wi-fi system around the park which is available at a small annual cost. Vodafone is the best mobile network on the park. The other network coverage can be unreliable. · Can I arrange my insurance through the Park? Yes, most of our customers have opted for the Parks preferred supplier, Leasure Days Insurance Consultants. They are one of the biggest insurance companies in the leisure industry They can offer great service at a reasonable price. It is a requirement of the Park rules that all caravans are adequately insured, if you choose not to insure through the Park you will be required to provide a copy of your insurance documents each year. · Do you only sell new caravan holiday homes? No, We have a large sales yard with a good selection of both new & used caravans in stock. If you are looking for a caravan with specific features or within a particular price range, we will happily try to help find the right holiday home for you. · Can I rent out / sub-let my caravan? Neuadd Bridge does not allow any commercial letting, We believe that this is key to maintaining the security and the sense of community on the park. At Neuadd Bridge you will always know who your neighbours are. You can of course allow your family and close friends to use the caravan. · Do I have a choice of pitch ? Yes, subject to availability and suitability, you can choose any vacant plot you like. This is obviously subject to availability. Siting & Connections are subject to charges. · Are you affiliated to any governing Body? 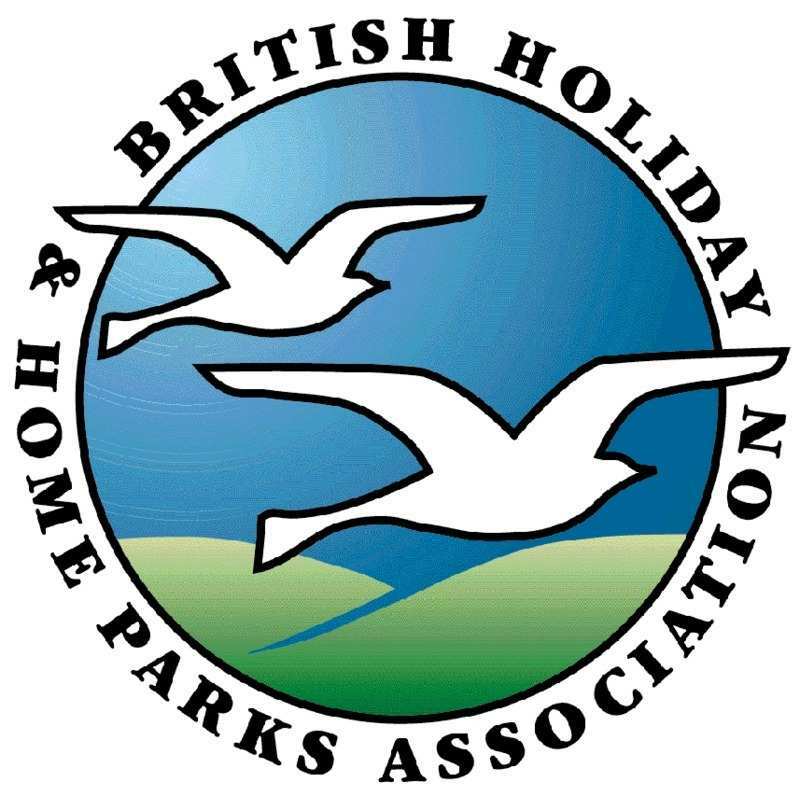 We are affiliated to our industry’s governing association , the BH&HPA. We operate under their advised code of conduct which has been drawn up not only to benefit the park but also to protect the client. · What facilities do you have on the park? We have a laundrette, a book and video library and a children’s play area. Putting greens and the bowling green are available to everyone at all times. We also have beautiful landscaped gardens complimented with lots and lots of peace and quiet. The river is one of the best facilities with areas suitable for paddling, canoeing or fishing. · What facilities are nearby ? A List of the local tourist attractions, activities and places to visit are listed with links on the website. With the Mid Wales Coast within easy reach, Neuadd Bridge is the perfect location for your Holiday Caravan. · Do you have a restaurant or shop onsite ? No we dont, but there is a Londis supermarket, Spar, Newsagent, Bakery, Butchers in the local village ( Llanfair Caereinion )1 mile down the road. There are also a number of local pubs restaurants and a wine bar in the village. · Do you have a club onsite ? No to keep the quiet aspect of the park we do not have a club. For those who want a little entertainment we do have a small function room with regular social events ranging from coffee mornings to table top sales, quiz nights to bingo and occasional music. The function room is not licensed and there is no bar. The sole aspect of the function room is to provide a small social side for those who want it but not to disturb those who don’t. · What if I take ill at the Caravan Park ? We have a very good doctors in the village ! mile down the road who are happy to treat you. In an Emergency we also have an emergency doctor located in the village who will attend the site. We are covered in this area by 2 local ambulance stations and the local air ambulance is also located locally. We also have our own on site difibrulator and first aid trained staff. · Can I have decking installed on my caravan? In most cases you will be able to have decking installed. We only allow the construction of decks made out of Metal or UPVC. Wooden decks are not allowed as they do not conform to council regulations and pose a fire risk. We have opted to work exclusively with Marche Industries, who are one of the market leaders, the quality of their products and service are second to none. · Am I allowed a BBQ ? Fire baskets or chiminea's are banned for safety. Small gas or electric patio heaters are allowed. Please consult the office for details. · Am I responsible for the maintenance of the ground around our caravan ? We maintain all the grass around the park the flower and shrub beds. Clients are allowed a small flower bed by the caravan and must maintain these themselves. · Can my friends and family visit me? Absolutely! All we ask is that you let us know that they are coming. Yes, in fact pets are the only reason that some of our customers have caravans. A caravan allows them to holiday with their pets rather than having to use kennels and catteries which some people and their pets find distressing. We don’t limit pets to just dogs, some of our customers bring their cats, we even have more exotic pets like parrots. We do reserve the right to refuse certain dangerous breeds and we do ask that all pets are controlled and for pets such as cats and dogs we ask that they have some form of identity tag. · Is a caravan a good investment? The simple answer is no, a caravan is not like bricks and mortar, it will depreciate. The first year is generally the worst time to sell your caravan. The long term view is to compare the amount of usage you get from a caravan against the cost of holidays abroad and long weekends in hotels. Pound for pound caravans are good value as long as you use them. · Does the Caravan Park Flood ? Neuadd Bridge has no flood history. Yes, Pets are allowed. You are allowed 2 dogs per caravan as long as they are well behaved. Dogs must be exercised offsite or in the fields. All Dog Foul MUST be picked up even in the fields. · Camp, Site or Park? Many people ask if we consider ourselves a Caravan Camp, a Caravan Site or a Caravan Park. When Neuadd Bridge was originally opened we were known as a site, in those days we were simply a nice place to “Site” a caravan. These days, mostly due to the fantastic landscaping we consider ourselves a “Park”. One of the definitions we found of the word “Park” is as follows: a large area of land preserved in its natural state. We think that this sums up Neuadd Bridge very well. Whilst we have many beautifully manicured areas we balance this with some sections kept wonderfully wild. The wildlife at Neuadd Bridge is thriving and we work hard to encourage and protect it. The most important step to buying a static caravan in Mid Wales or anywhere else in the country is to find the right park. Parks vary from quiet idyllic caravan parks like ourselves to busy all action parks and you really need to think about what you want. In terms of Neuadd Bridge we offer a haven of peace and quiet, a location with beautiful gardens and stunning views across rolling fields and picturesque hillsides and walks along the banks of the River Banwy. An important consideration is the parks location and its accessibility to nearby towns and attractions. Neuadd Bridge is 1 mile from Llanfair Caereinion home of a famous steam railway and has all the basic needs you would require from shops to doctors etc, but there are also the market towns of Welshpool, Newtown and Oswestry nearby. With many beautiful local attractions such as Powis Castle, Lake Vyrnwy, and Llanrhaedr Waterfalls on your doorstep and the Mid Wales coastline within easy reach. Neaudd Bridge is in a great central location to enjoy Mid Wales and everything it has to offer. If you would like to know more about owning a caravan on our park, please do not hesitate to contact us on 01938 810245 , we will be happy to help. · Do you have any information you can send me? Yes, we’ll be pleased to send you out a brochure pack. Information is also available on the website. We hope these FAQ's have helped answer any quiries you have. Please do not hesitate to contact us if you need any further information. Neuadd Bridge has been owned by our family for 20 years with three generations of the same family working at the park on any given day. some of our customers say it’s the gardens and landscaping, others say it’s people and the atmosphere.. The truth is you really have to pay us a visit and experience it for yourself. You can request a brochure simply by filling out the form on the contact us page of our web site or by calling us on 01938 810245.